Serving the people of Fermoy for over 35 years. Martin Neligan & Sons Funeral Directors will provide you with the highest level of care, attention and professionalism during this difficult and emotional time. 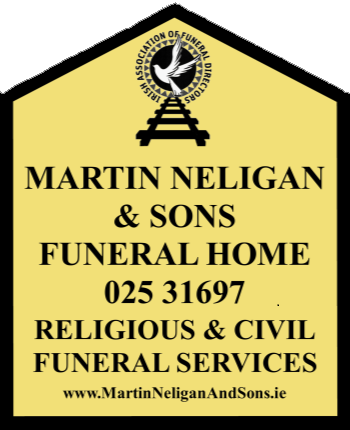 You can call into Martin Neligan & Sons Funeral Home or our Funeral Directors would be happy to call to your residence. During this meeting we will ensure that every aspect of the funeral process is fully explained to you, we will advice you of all the costs associated with the funeral package you select. Once you have made you final decision, we will ensure that every detail will be carried out to your satisfaction.